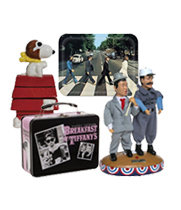 Mother's Movies & Collectibles - Where the Classics Live! 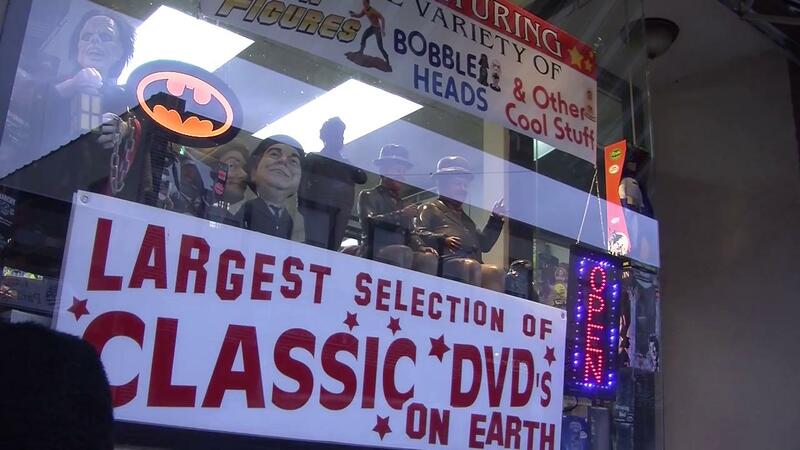 Welcome to Mother's Movies & Collectibles – Where the Classics Live! 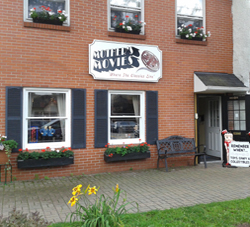 Mother's Movies & Collectibles offers the finest in films on DVD and Blu-ray. We carry a vast selection of classic and rare films from all eras in all genres, many unseen for decades! All this plus the newest releases. If we do not have it special orders are no problem, just email us or give us a call. 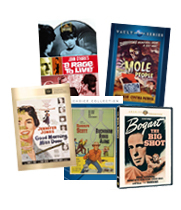 Whether you are looking for Film Noir, Sci-Fi/Horror, Westerns, Musicals, Comedy, Drama or any great classic film, Mother's Movies & Collectibles is the place to go. You will never need to go anywhere else! 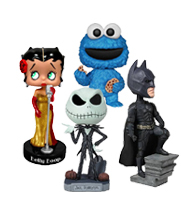 We also now stock a wide variety of action figures, bobble heads and other cool collectibles, featuring all your favorite stars and characters. 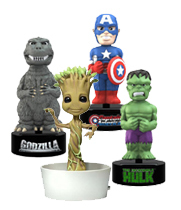 All the major players are here, including Bif Bang Pow!, DC Comics, Funko, Marvel, NECA and so many more! We've got it all organized conveniently in the categories below. You'll want to check them all out! Our inventory is constantly changing, so please check back with us often. 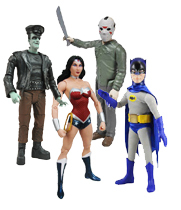 Whether it's new or retro, Mother's Movies has a wide selection of action figures – Batman, Superman, Star Wars, Universal Monsters and more. All of your favorites are right here, so get in on the action! From Bosley Bobbers to Wacky Wobblers, with everything in between, including Head Knockers and Pop! Vinyl, we have something for everyone with our wide selection of characters to choose from – enough to make your head bobble! Enjoy hours of body-bobbling fun that's powered by the sun! Brought to you by NECA, Body Knockers rock from side to side when exposed to light – they never need batteries! Collect the entire line and watch your favorite characters dance the day away! 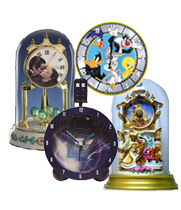 Time will always be on your side with a trendy Wall Clock or a beautiful Anniversary Clock from our unsurpassed collection of timepieces featuring movie stars, cartoon characters and more! A great mix of lunch boxes, salt and pepper shakers, serving trays and so many other cool and unique collectible items to satisfy your appetite for your favorite stars and characters! Spanning more than 75 years of filmmaking, Manufactured-on-Demand collections from all the major studios offer fans access to titles of all genres, many not available on DVD until now. Look for a broad range of drama, comedy, westerns, horror and sci-fi to choose from. While we have tried to list a lot of our inventory on our website, it was just impossible to include everything. 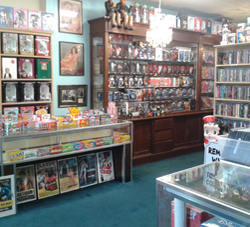 So here you can take a virtual tour of our store and check out some of the cool items we have. It truly is an awesome place – you have to experience the nostalgia for yourself! Our thanks to Stony Brook University film student Peter Dorr for filming, editing and producing this great mini-documentary in December 2014.